Idea Bubble - News: Mulrooneys goes live today! Mulrooneys are one the leading Companies in Retail in Tipperary. We were thrilled when they contacted us looking for a shop website, with of course our Website CMS. 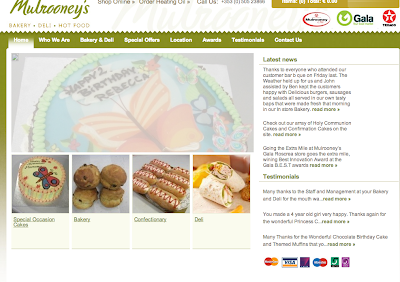 We designed a slick and classy design and installed our Website CMS, Mulrooneys were delighted with their online solution. See for yourself here!